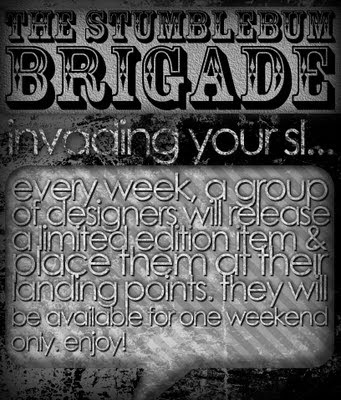 Tres Blah Update Blog: The Stumblebum Brigade Event! Will be out at midnight at my store in Horst. Also, Bubbles will also be having some exclusive hair for the event only. Clawtooth by Clawtooth hair available at Harold. 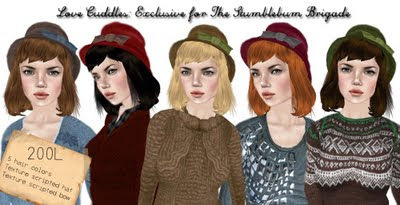 The stumblebum brigade! Bringing exclusive fashion to YOU! Every weekend 10 designers will be coming out with something unique and exclusive for those 2 days of freedom ONLY, before those poor little items are locked away never to be seen again in the dank caves of their inventory!